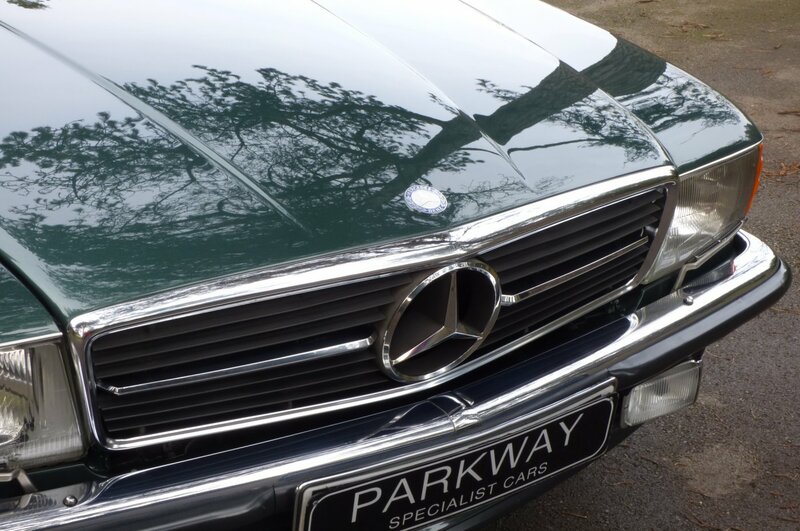 After The The Mercedes Benz Factory Ceased Production Of The Beautiful Mercedes Benz W113 In 1971, We Had To Wait A Further Twelve Months Before The Ultra New And Radical Mercedes Benz SL R107 Model Was Showcased At MB Showrooms To Eager Buyers All Around The World And Was To Be An Instant Successful Chapter For The German Factory. 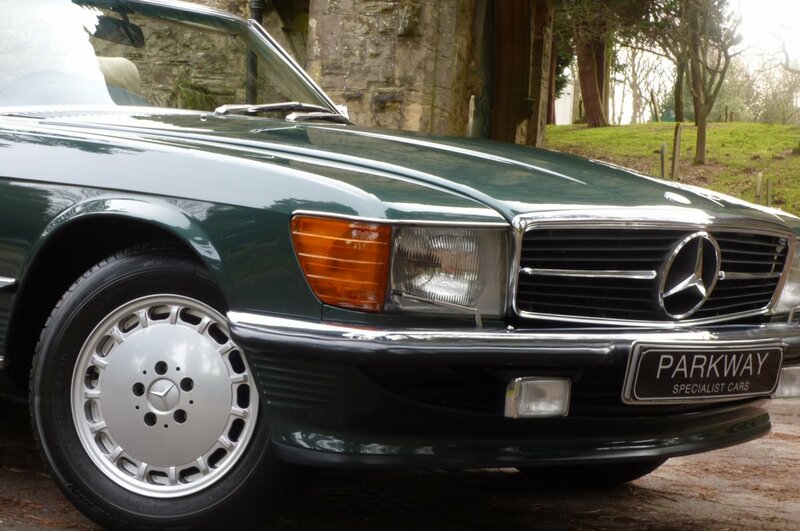 The R107 Series SL Gave Those Luxury Hungry Buyers More Up To Date And Relevant Stylish Interiors, A Wider Choice Of Bigger Engines And A Re-Designed Sharper, More Contemporary Bodywork And Still After Nearly Forty Six Years, This Important And Integral Mercedes Benz Classic Has Only Ever Become More Attractive And Desirable To Worldwide Collectors And Enthusiasts. 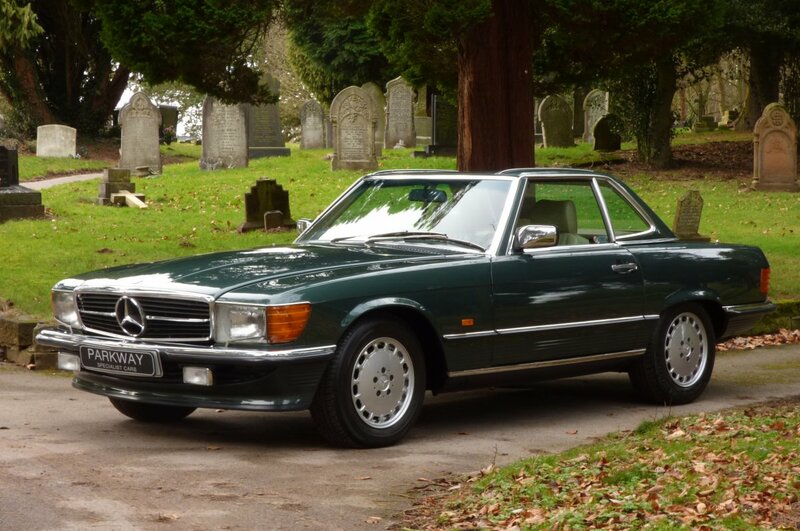 The R107 Typified 70`s & ’80s Glitz, Regularly Starring Alongside A Pair Of Shoulder Pads & Stetson Head Wear On Dallas, Dynasty And Was Of Course Often Seen On The American TV Crime Show Hart-To-Hart, But It Also Has An Enduring Appeal That Goes Way Beyond That, As This Distinctive Model Boasted The Longest Production Run Of Any SL Brand And Was Sold For An Incredible 17 Years Duration From 1972 To 1989. 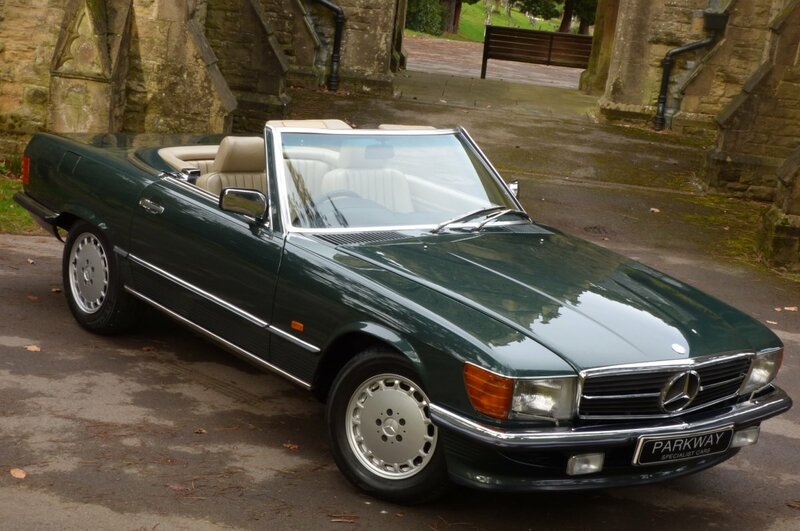 Many Believe That The SL Was So Very Successful Due To These Splendid Cars Being Adored By Both Female & Male Drivers, With The Performance Delivery Being Silky Smooth, Legendary Build Quality Detail And A Body With Straight Muscular Lines Mixed With Elegant Curves, With Even The SL Denoting "Sport Light", So Perfect For Any Gender To Really Enjoy. 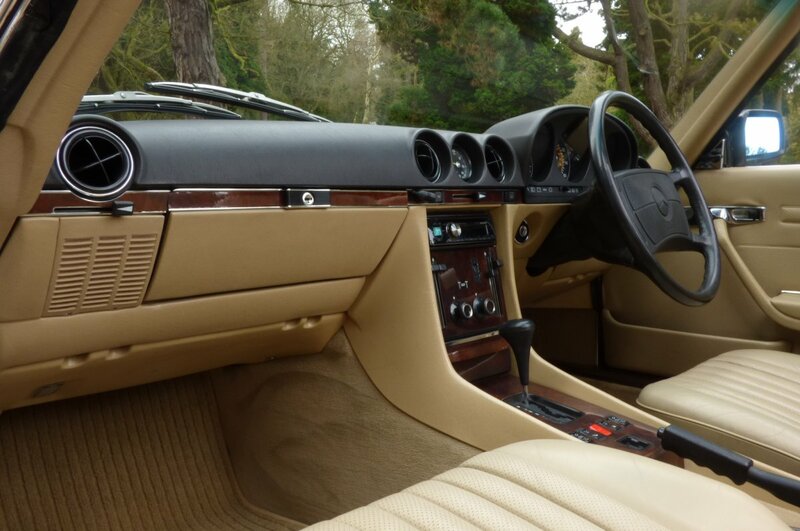 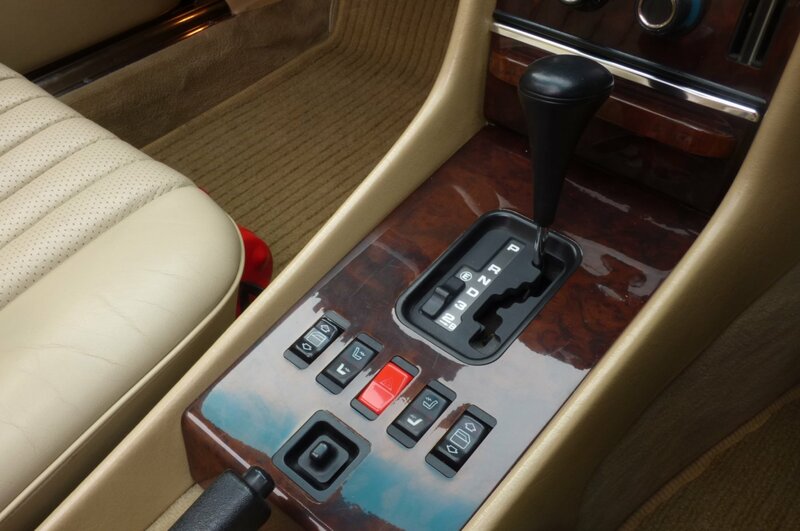 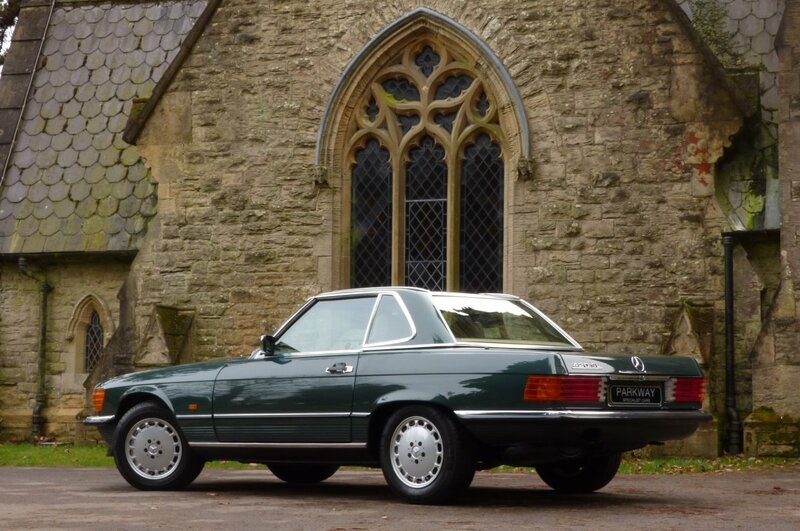 Between 1985 & 1989 The Factory Included As Part Of Their SL Line Up The Fabulous SL420, With This Now Rare Edition To Have A Larger Four Point Two Litre Fuel Injected V8, Which Produced A More Than Healthy 218 Brake Horse Power, Capable Of Accelerating Both Driver And Passenger From 0-62MPH In Just 8.5 Seconds, Would Further Glide To An Electrically Limited Top Speed Of 133 MPH, With All Of This Power Controlled By The Silky Smooth Four Speed Automatic Transmission. 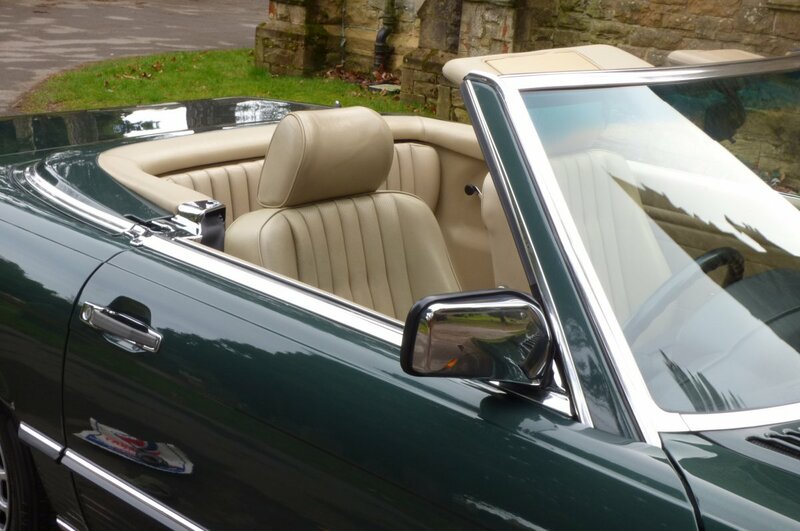 Of Course The Previous W113 Has Done Remarkably Well On Value Growth With Many Perfect Right Hand Drive Examples Left, Offering Prices Ranging From £100,000 To The Dizzy Heights Of Near £200,000 For The Very Best Left To Acquire, Which In Turn Has Strengthened The Values Of Next Generation R107 Model, With Further Future Investment Opportunity Growth Being Inevitable, With Many Rare Low Mileage, Perfect Examples Being Snapped Up By An Every Demanding Global Collectable Market Place. 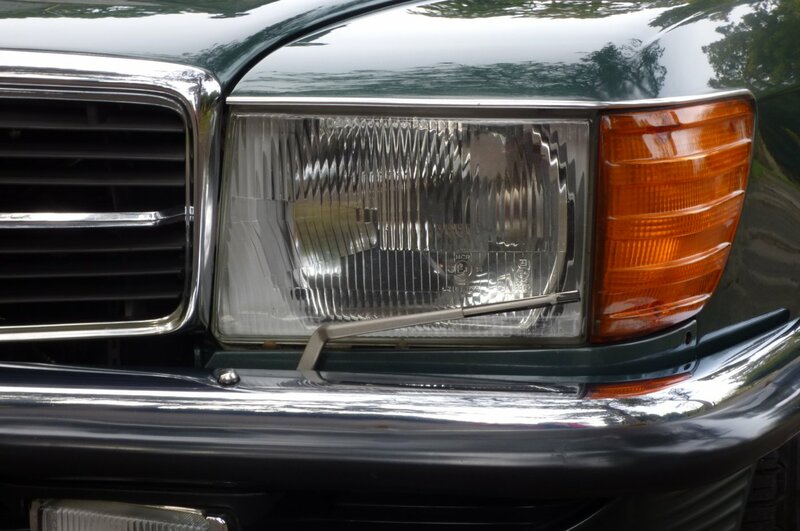 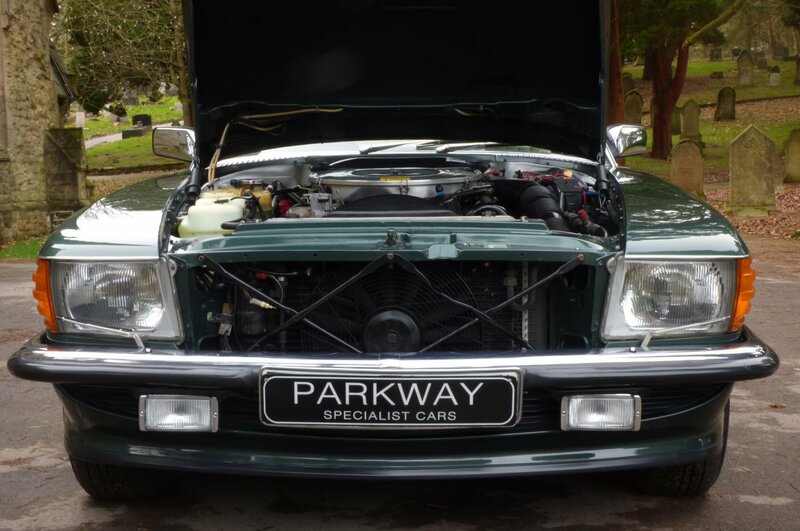 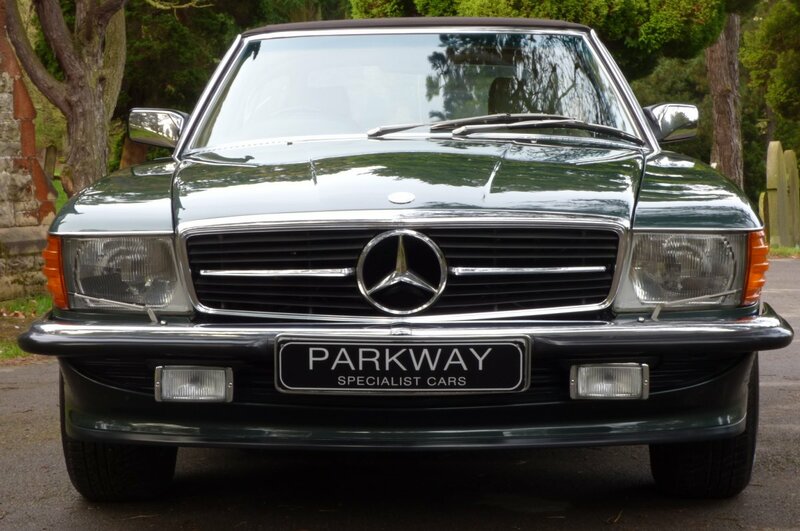 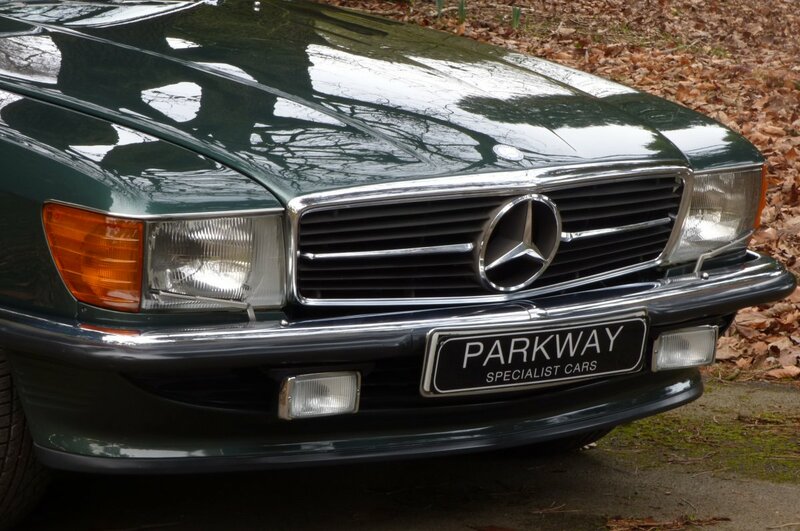 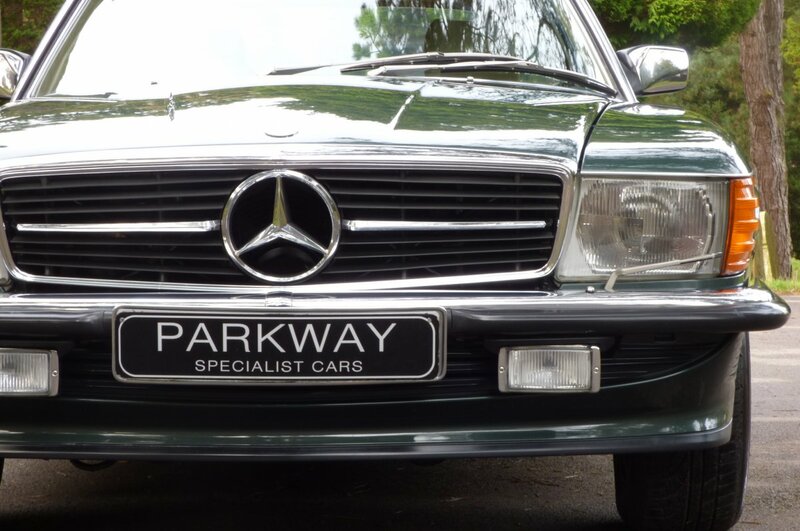 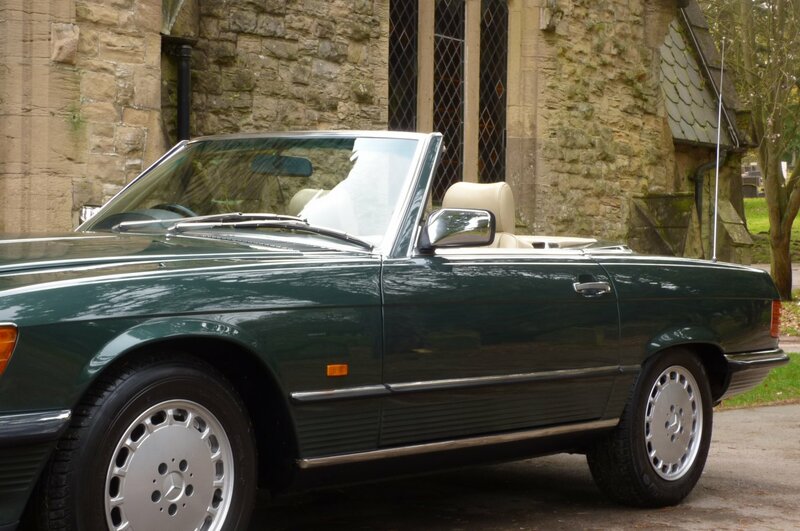 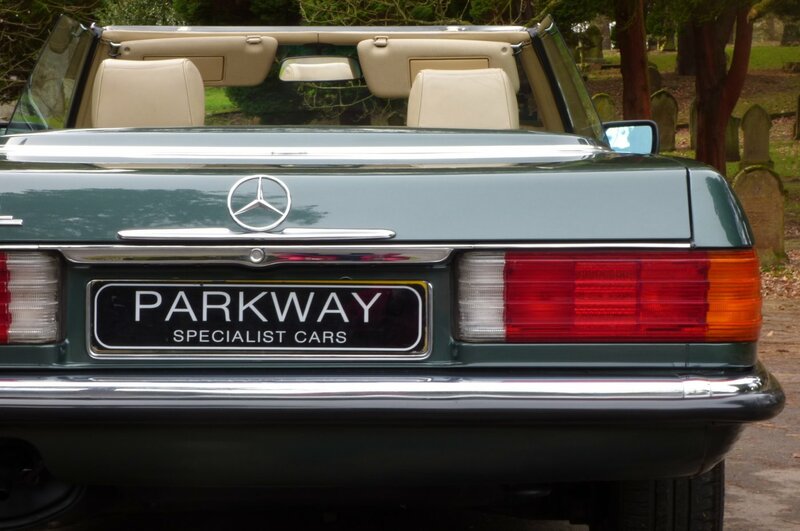 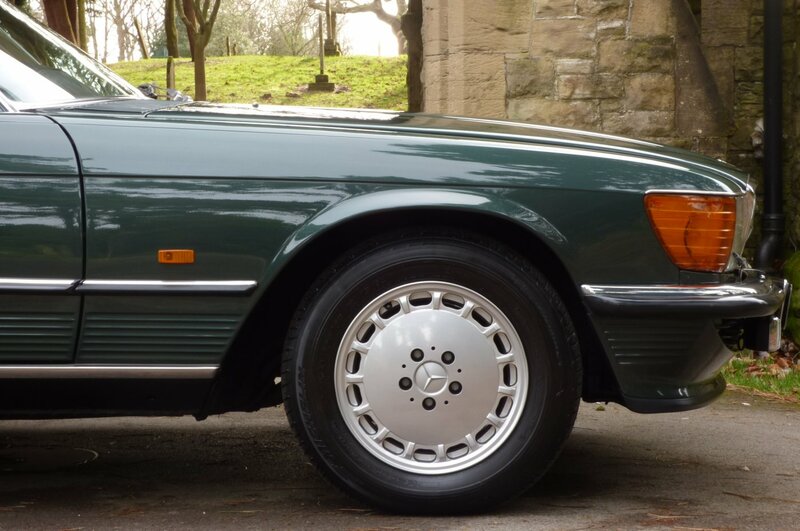 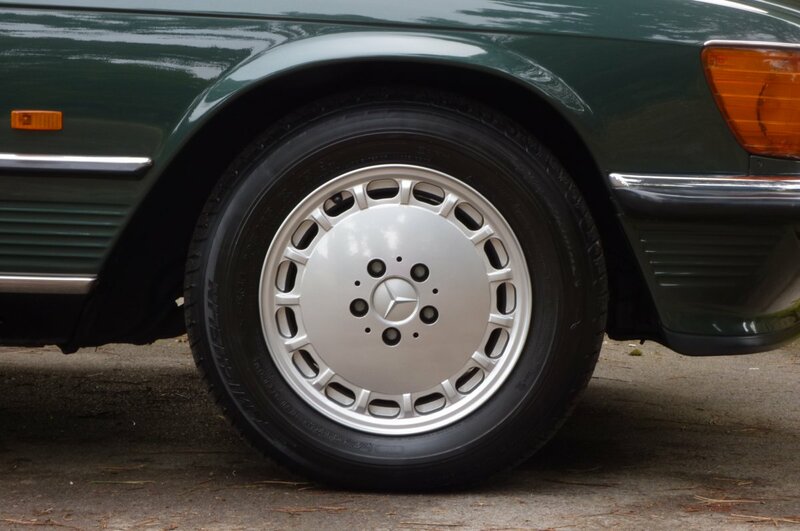 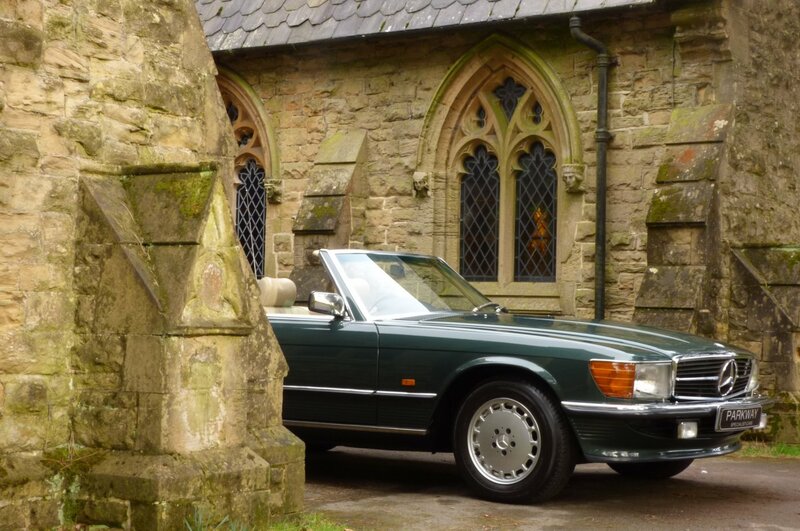 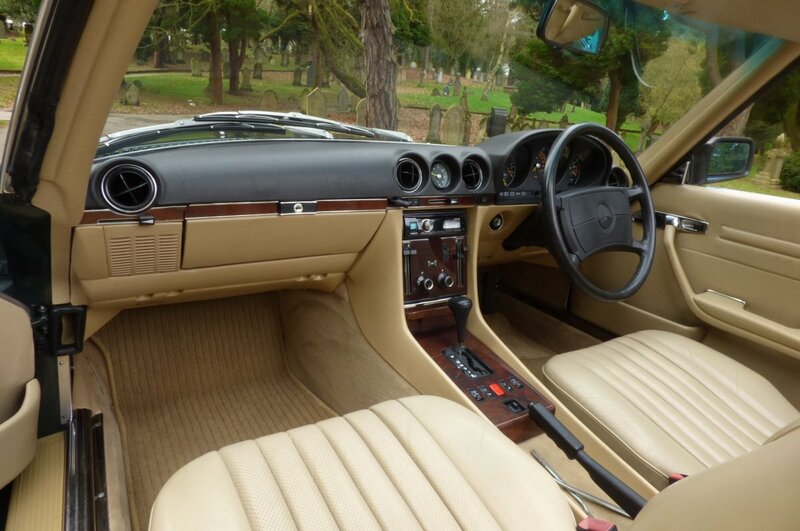 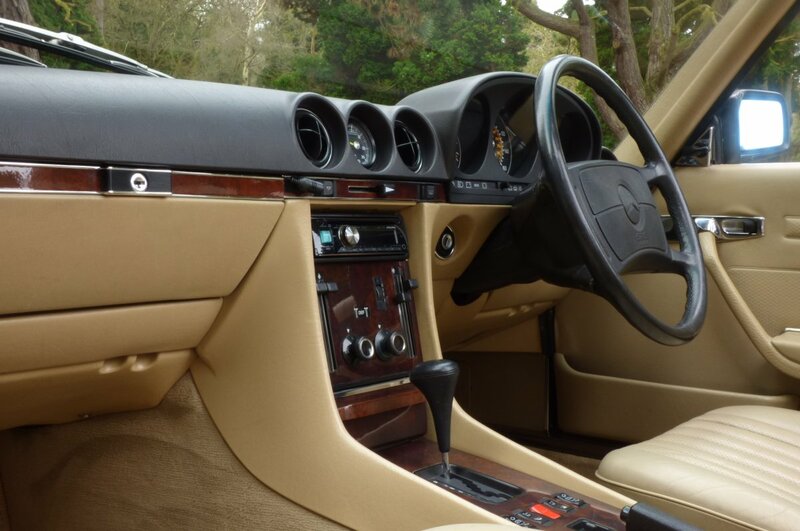 This Sensational Example Was First Supplied By Majestic Mercedes Benz Of Bournemouth In The August Of 1989 And Over The Last Twenty Nine Years Has Had Just The Six Registered Keepers, Which In The World Of The Collectable Modern Day Classic Car Is Viewed As Being Low To Now Find. 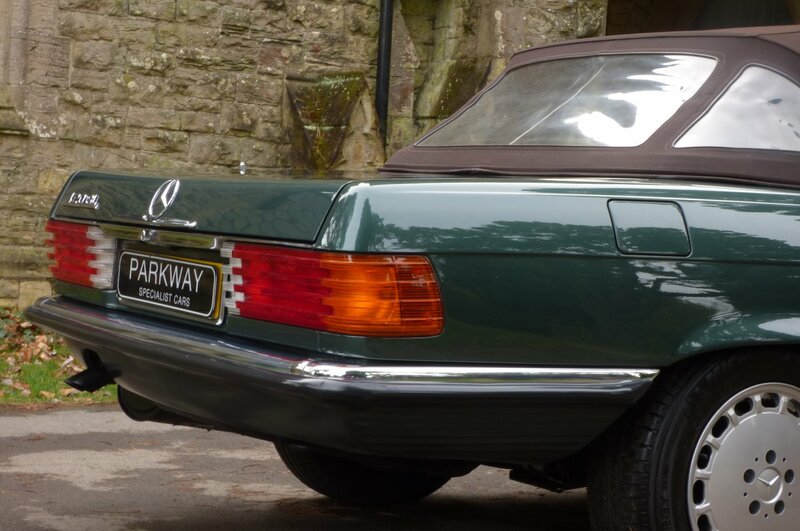 Over This Period Of Time Chassis Number A101914 Has Accumulated A Mere 65171 Miles, Which If We Break This Down Further Is Roughly About 2300 Miles Per Annum, However Regardless Of This Incredible Current Reading Has Been Maintained To The Highest Of Standards With Past Historical Service Visits Completed At 773, 3682, 5275, 11029, 16673, 21017, 26344, 32238, 40731, 41636, 44214, 45760, 47482, 62612, 62809 Miles And Once Sold Will Have A Further Full Service Completed By Our Fully Trained And Knowledgeable Workshops, Prior To The Next Lucky Keeper Taking Charge.  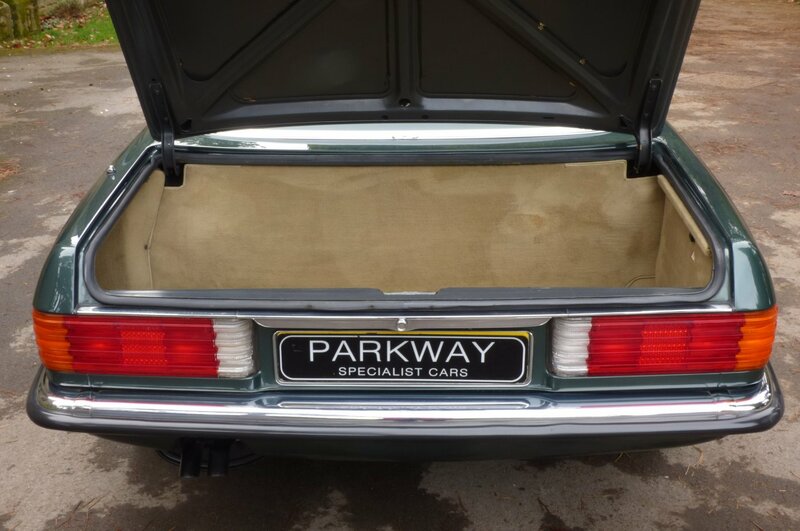 Also As Part Of The Current Vehicle Presentation, This Special Find Comes Complete With An Extensive Past Historical A4 Box Folder Containing Many Past Invoices And MOT Sheets All Of Which Will Validate The Mileage, The Entire Booklet Pack Set, A Factory Build Card And A Fully Functional Key Set To Include The Reserve Master Key, Which Is Still Offered In The Factory Plastic Cover, All Of Which Is In Place For The Next Custodian To Keep And Cherish During Their Own Time Of Ownership. 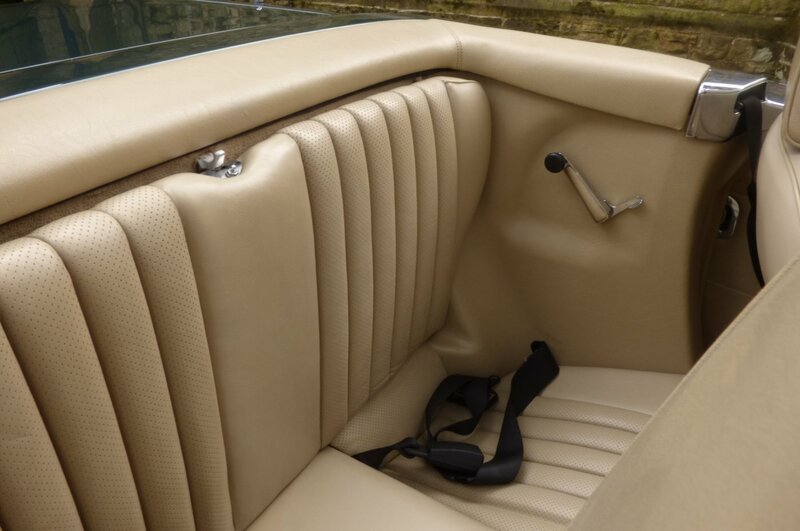 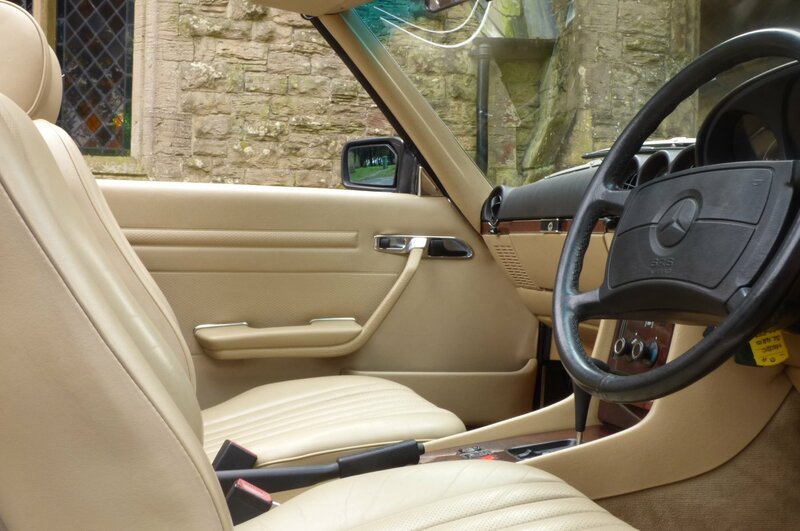 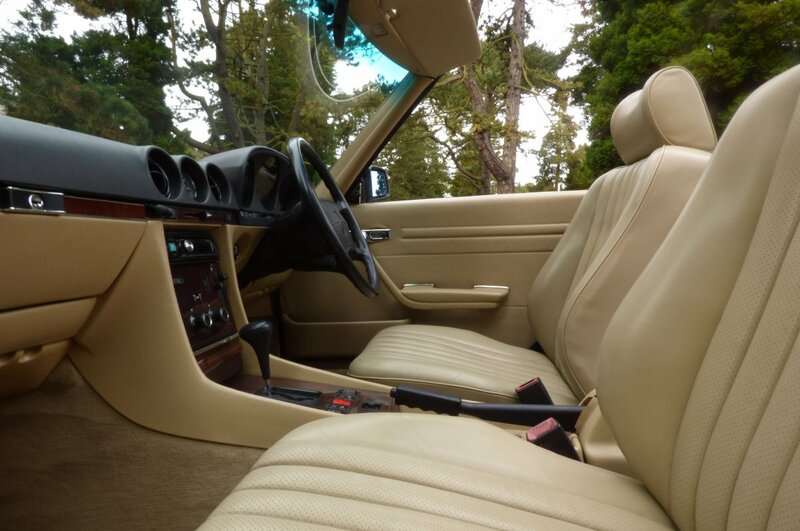 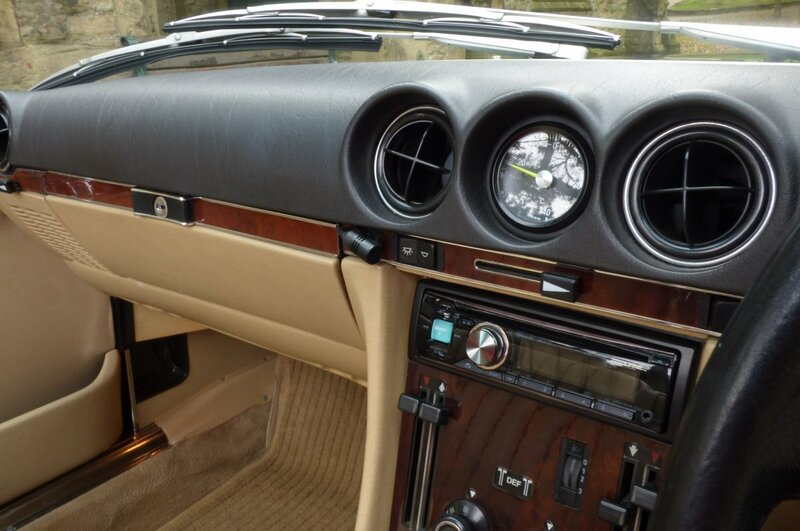 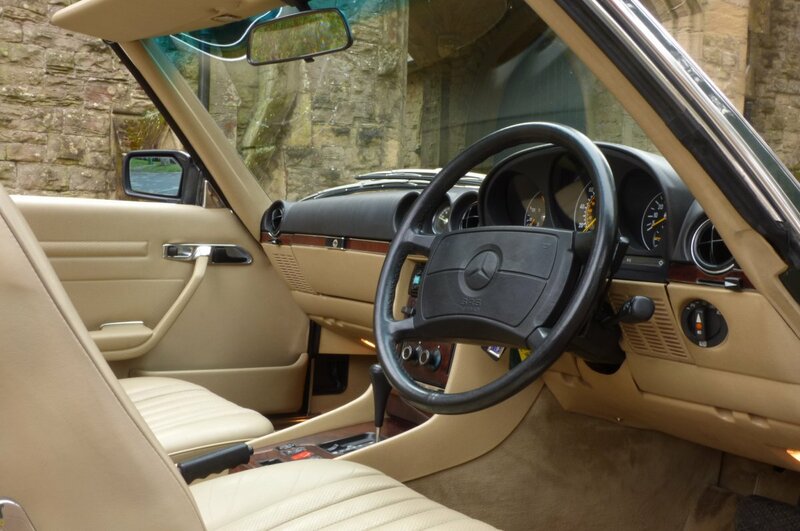 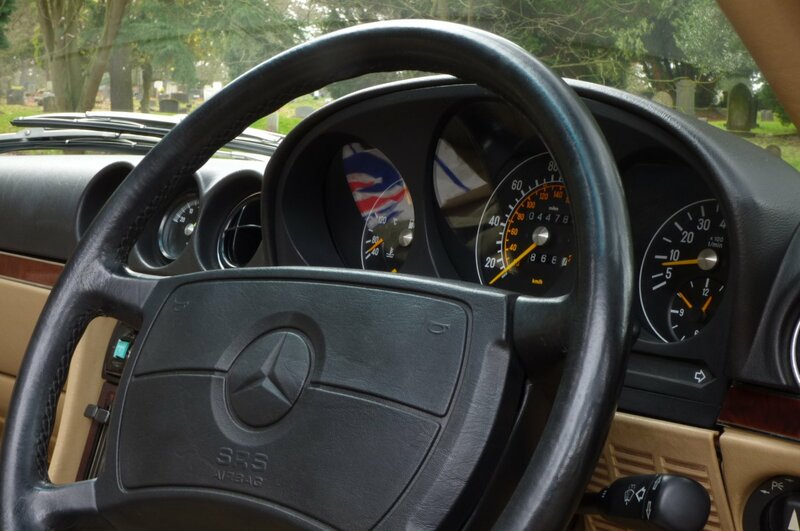 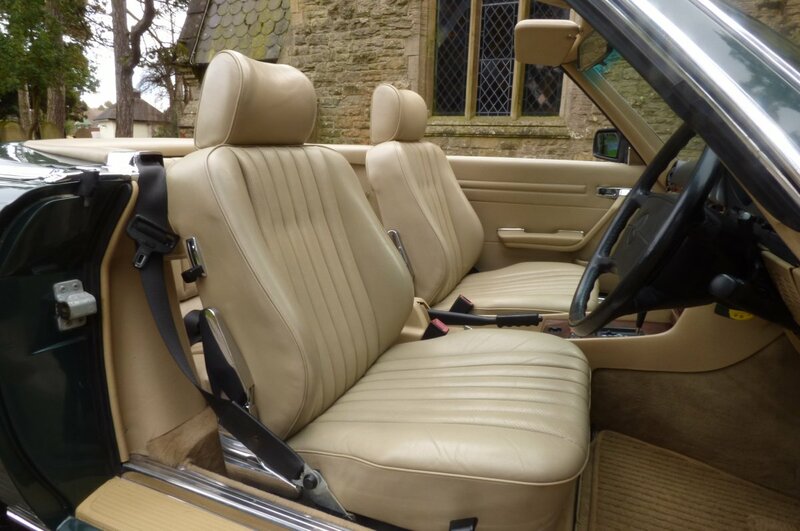 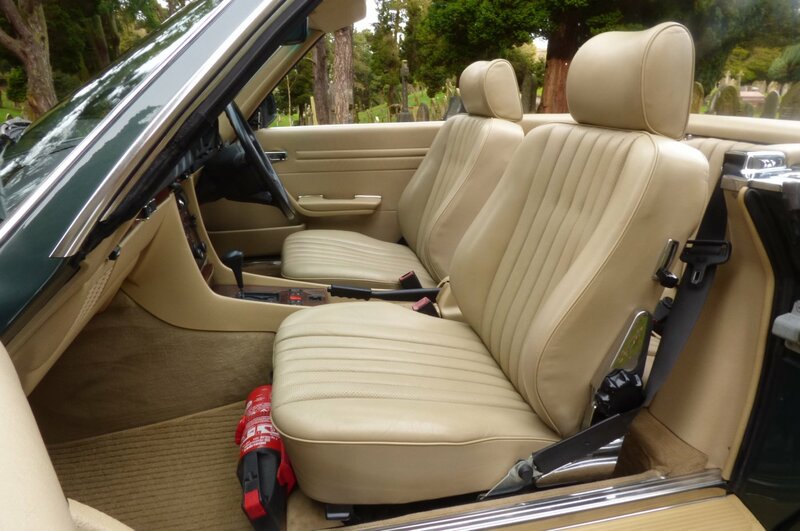 The Mercedes Benz SL Interior Offers A Truly Retro Feel, With The Build Quality And Finishing Detail Being Second To None, With Luxurious Refinements And Comfort Still Evident After Nearly Twenty Nine Years. 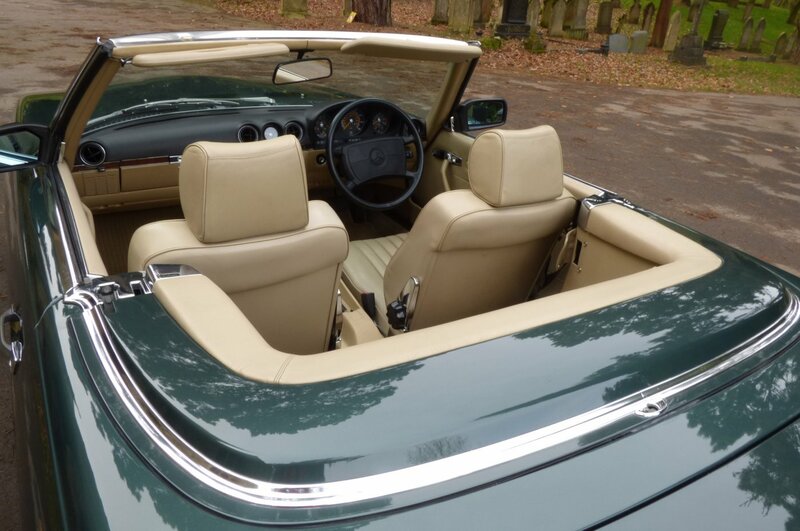 This Lovely Modern Day Classic Mercedes Benz Was Opted From Factory With The Pebble Beige Leather Sport Seats Beautifully Complemented With Pebble Beige Piping, The Lighter Tan Carpets That Have Been Protected With The Mercedes Benz SL Over Mats, Beige Leather Look Trimmed Door Cards, The Pebble Beige Dash That Wraps Around This Inviting Cabin, The Beige Fabric Roof Lining, The Obsidian Black Leather Bound Four Spoke Steering Wheel, Chromed Seat Brackets, Chromed Lined Internal Door Brackets And Decorated With Burr Walnuts Polished Veneers Detailed With Chrome, That Finalise This Elegant Environment Off Perfectly. 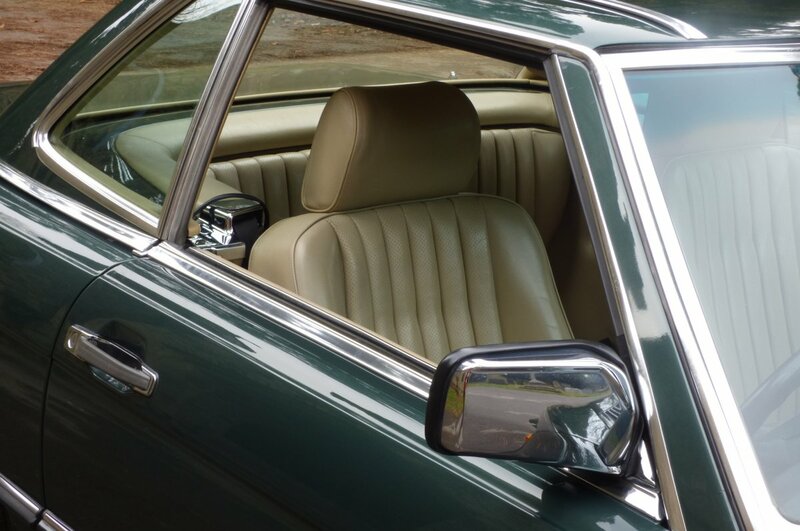 The Interior Finish, Along With The Total Interior Condition Is Presented In Fabulous Order And With This Will Delight The Next Prospective Lucky Keeper. 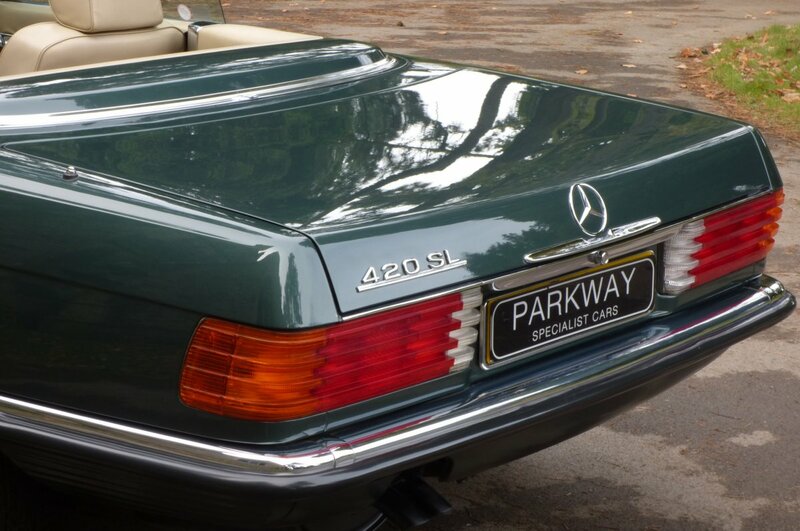 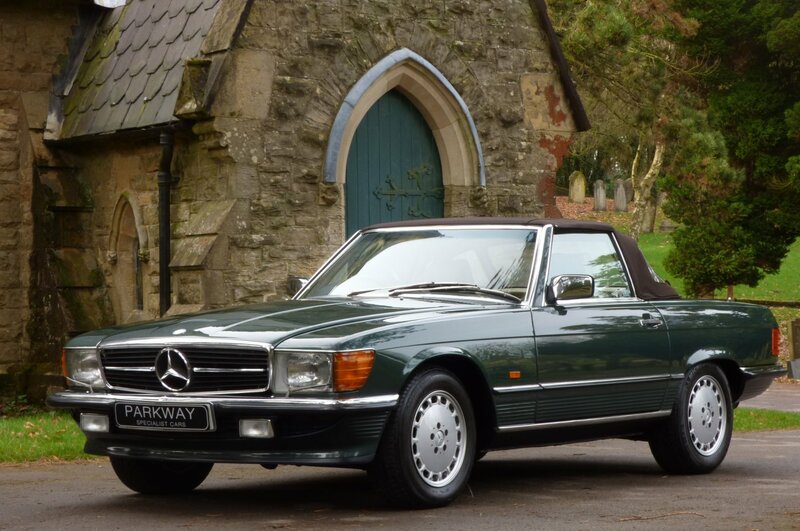 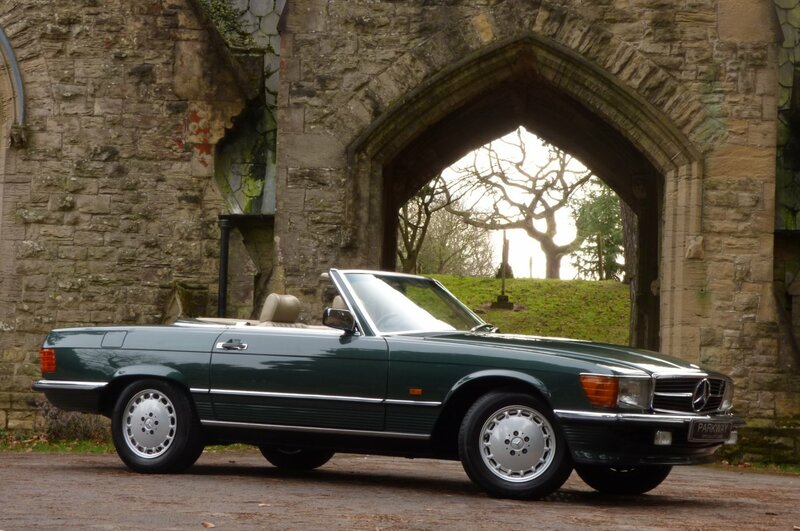 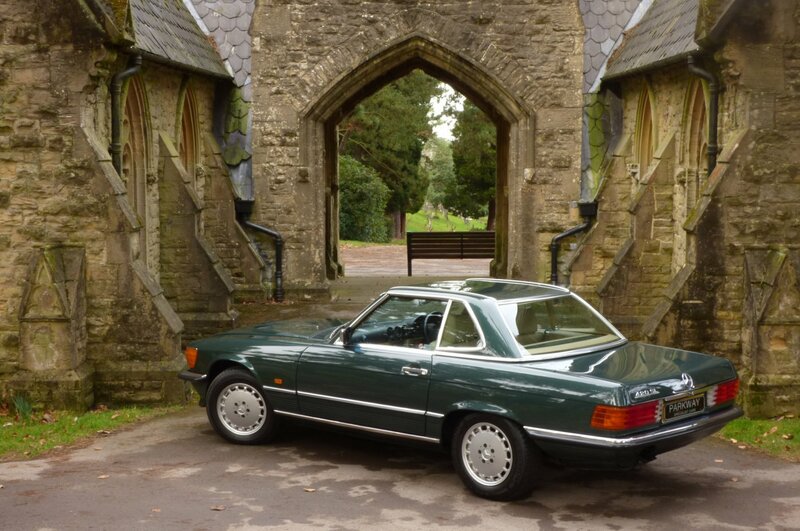 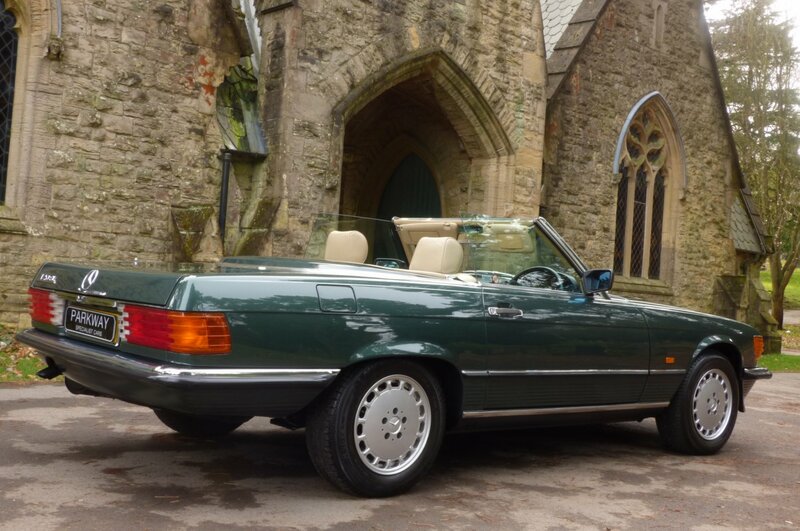 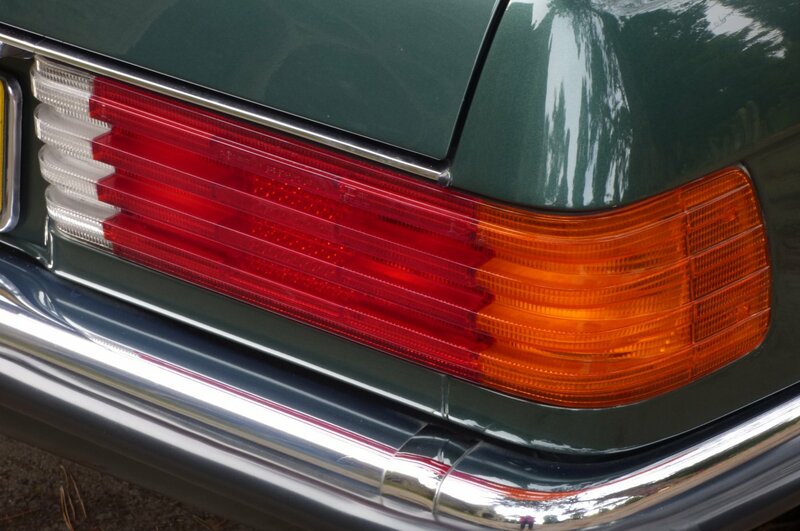 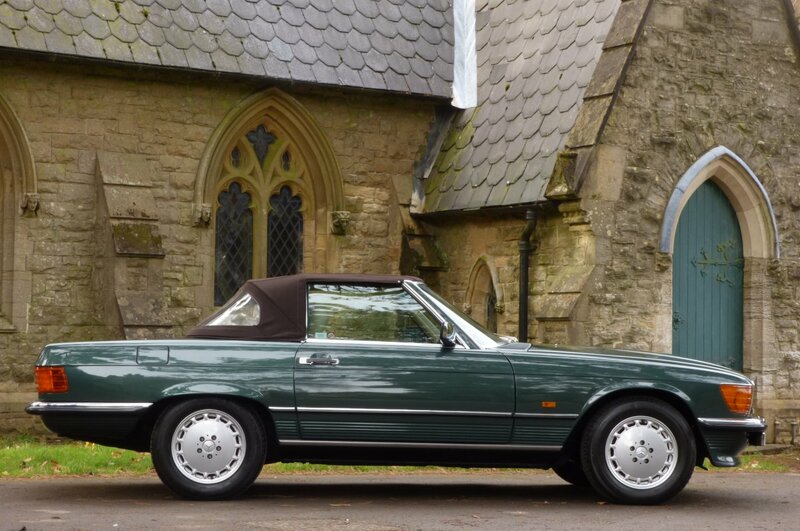 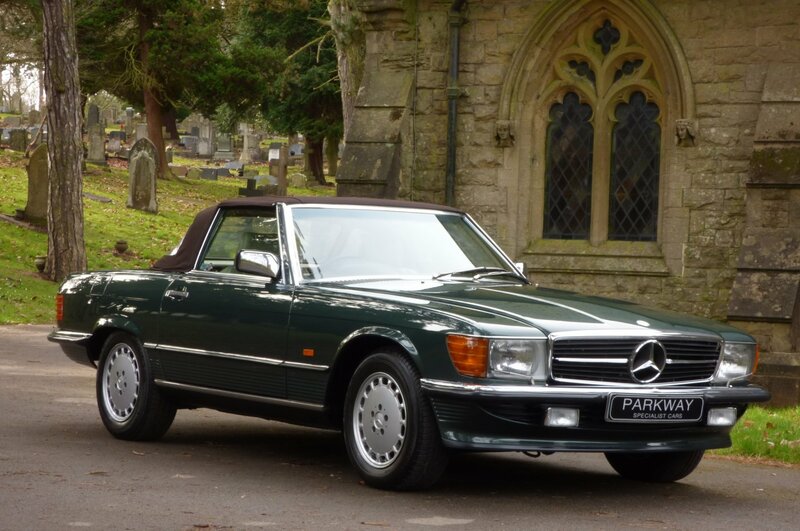 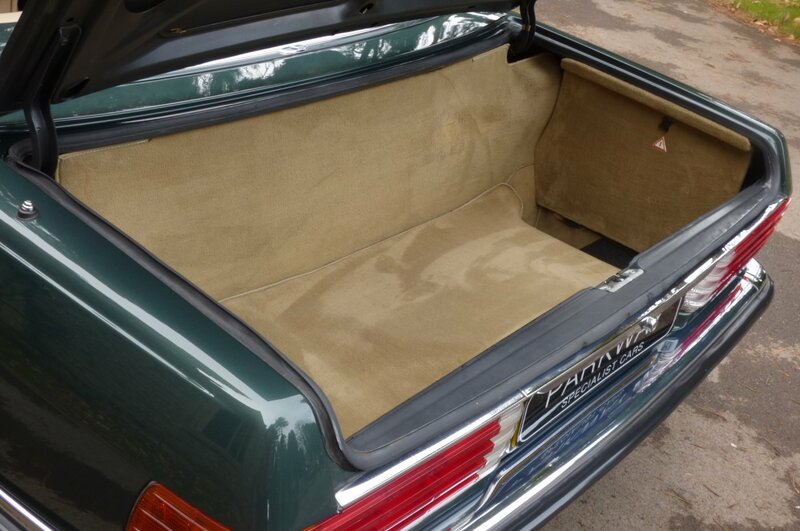 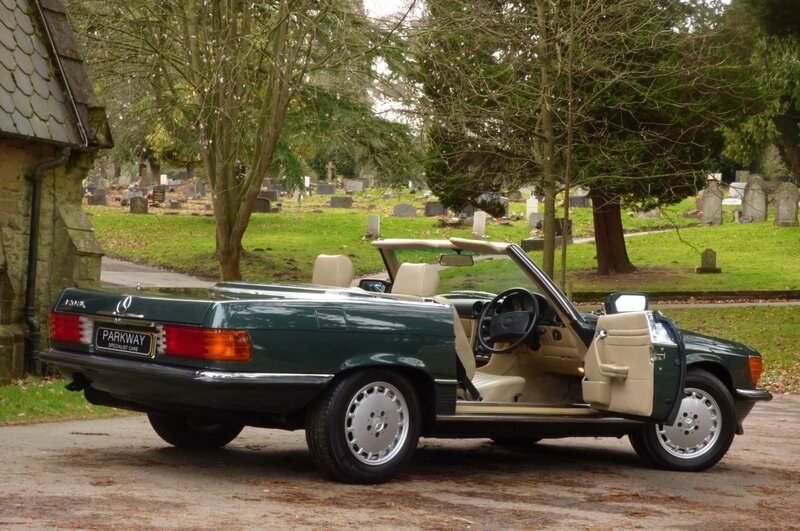 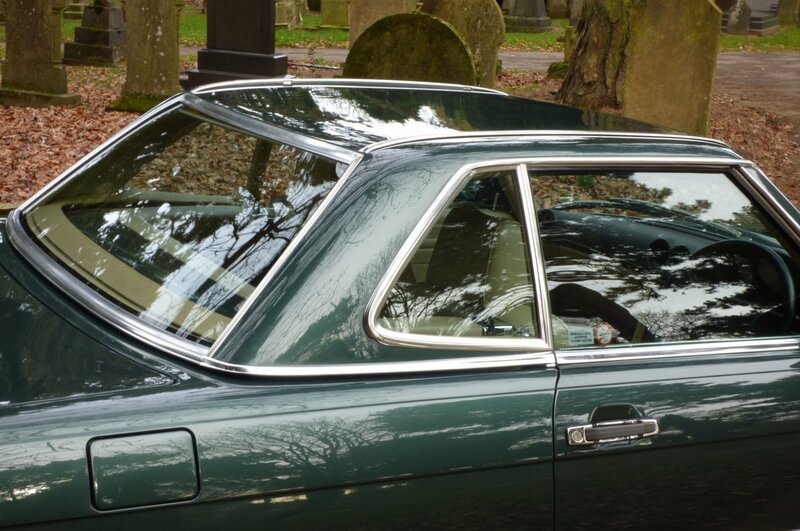 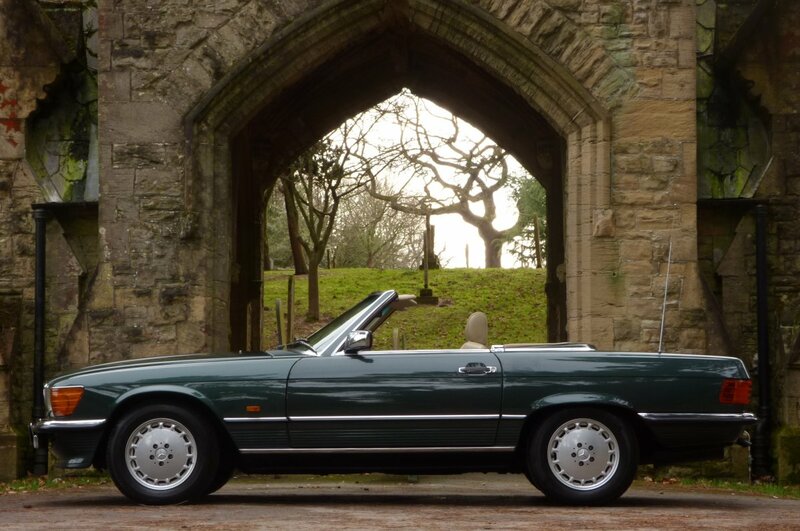 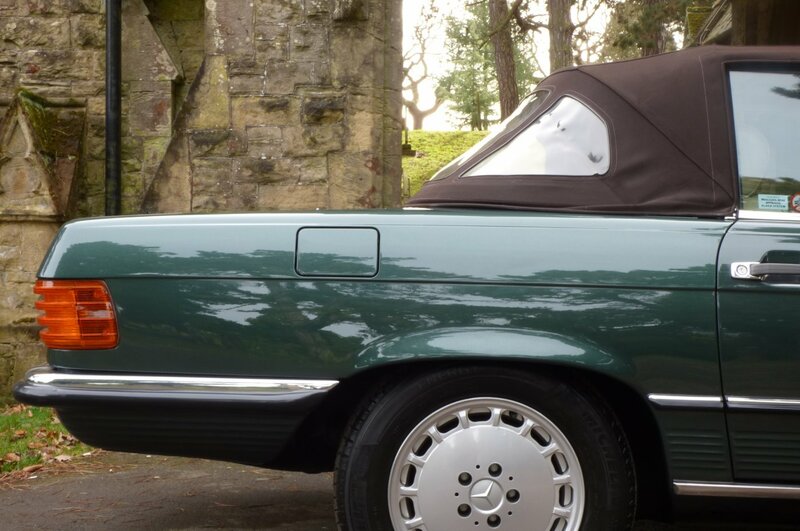 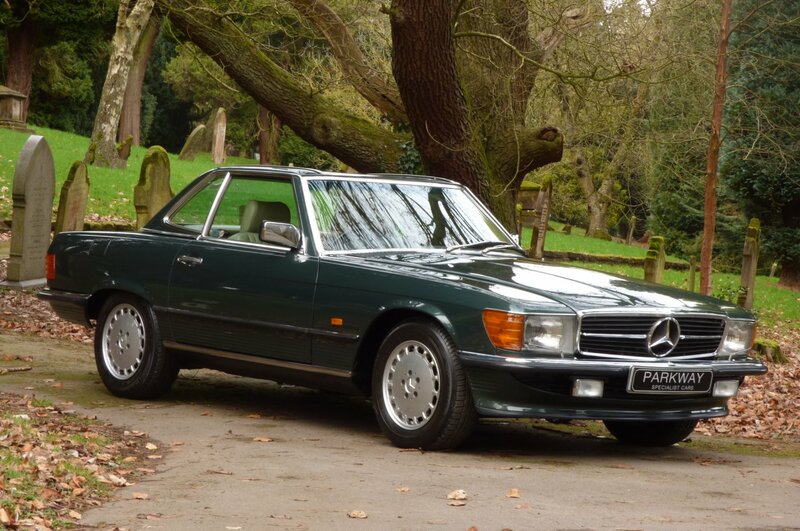 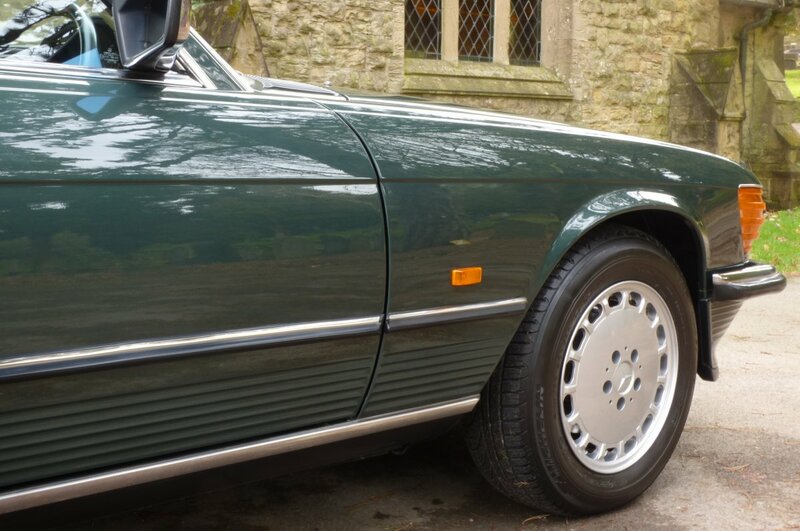 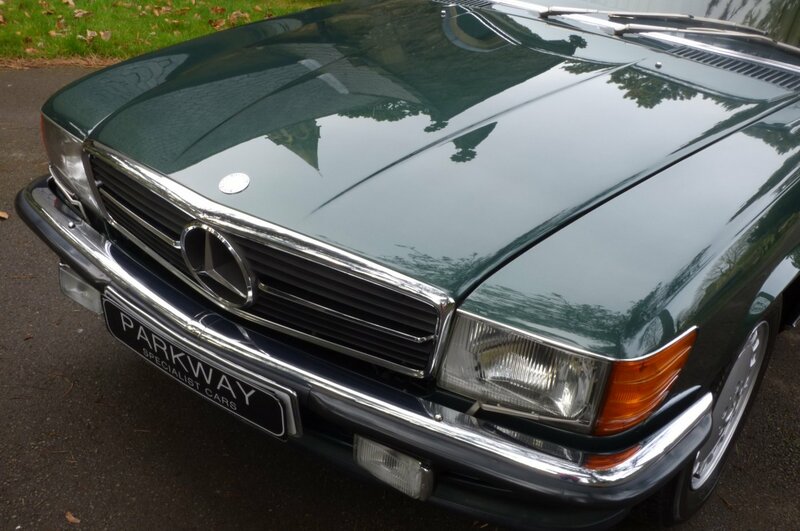 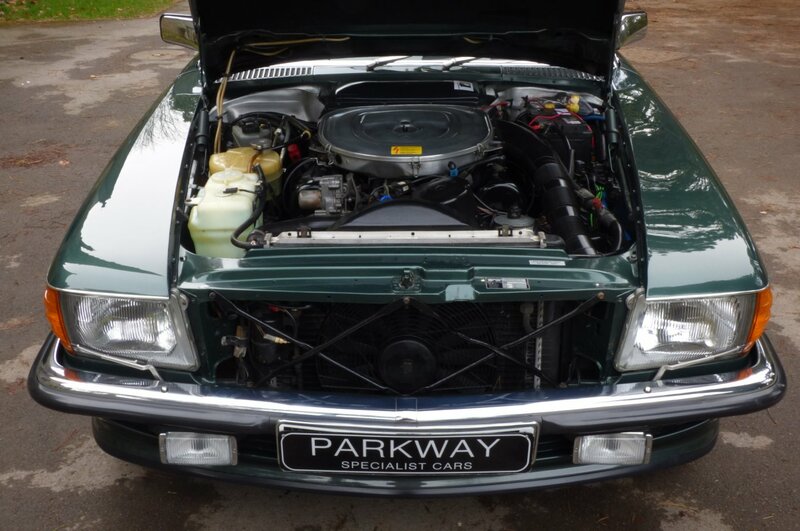 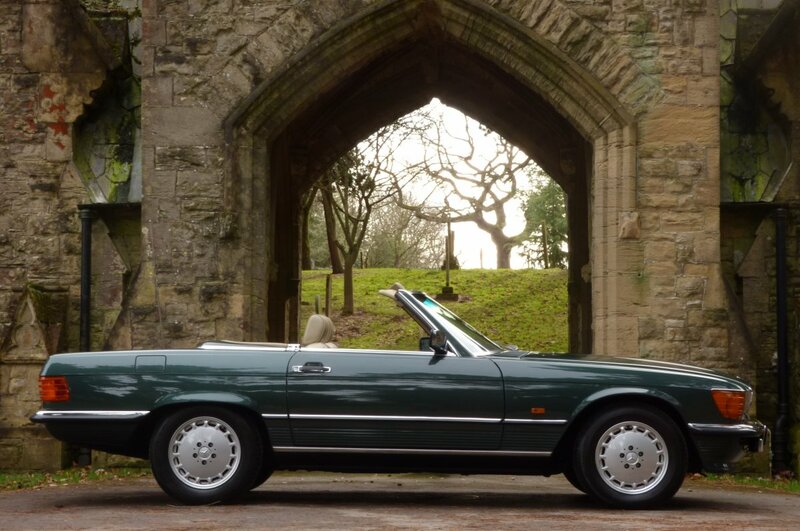 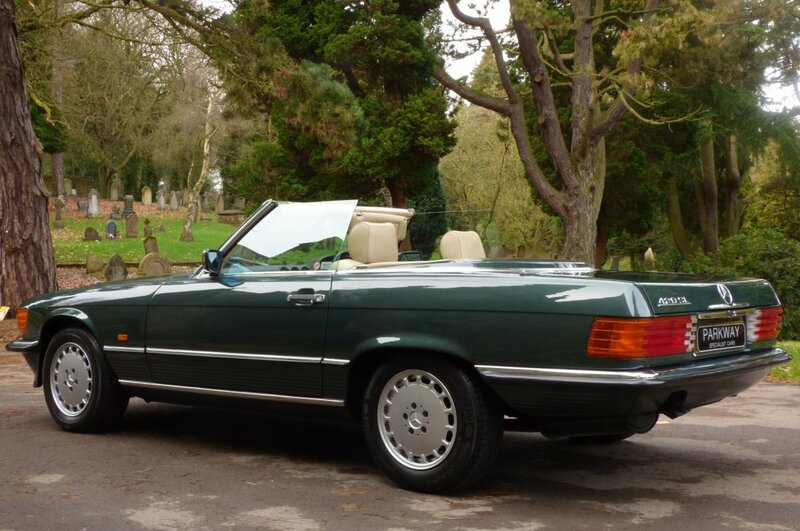 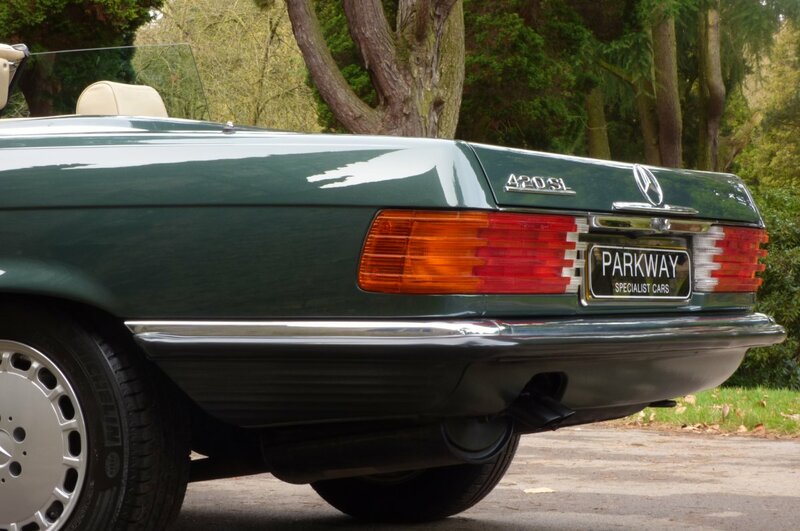 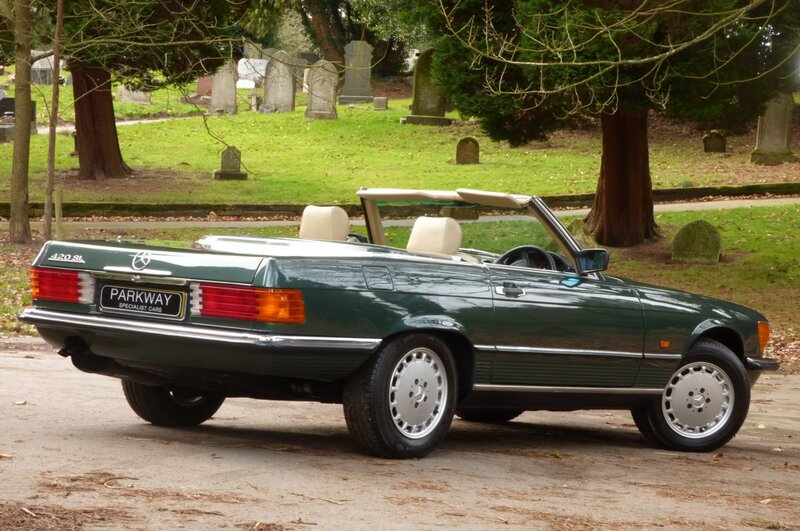 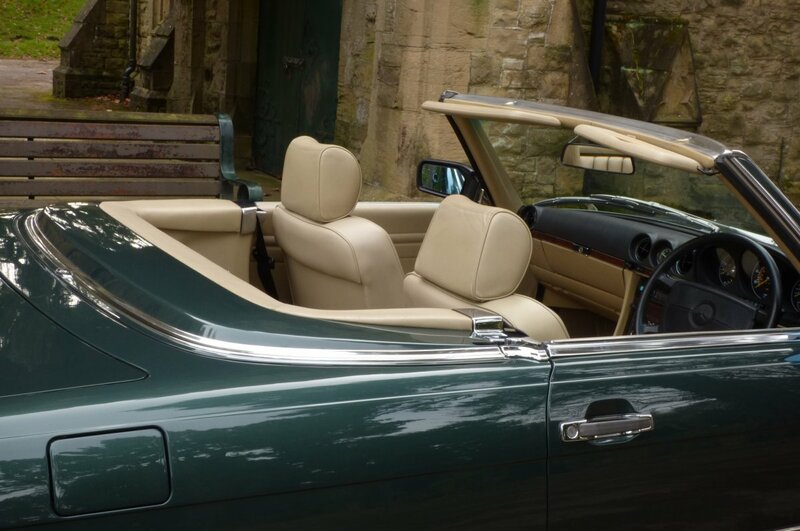 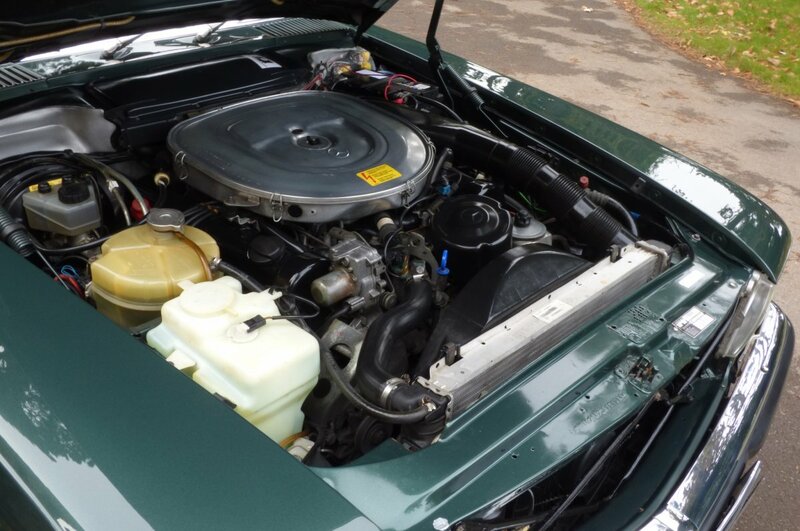 The Squared Body Initially Designed By Joseph Gallitzendörfer & Friedrich Geiger Back In 1968, Is Showcased In The Pine Green Metallic, With This Colour Finish Perfectly Demonstrating The Sublime R107 Exterior Curves, The Distinctive SL Lines And Looks Staggeringly Beautiful With The Optional Factory Colour Coded Hard Top Roof Snuggling In Place Or With The Dark Brown Mohair Canvas Roof On Display. 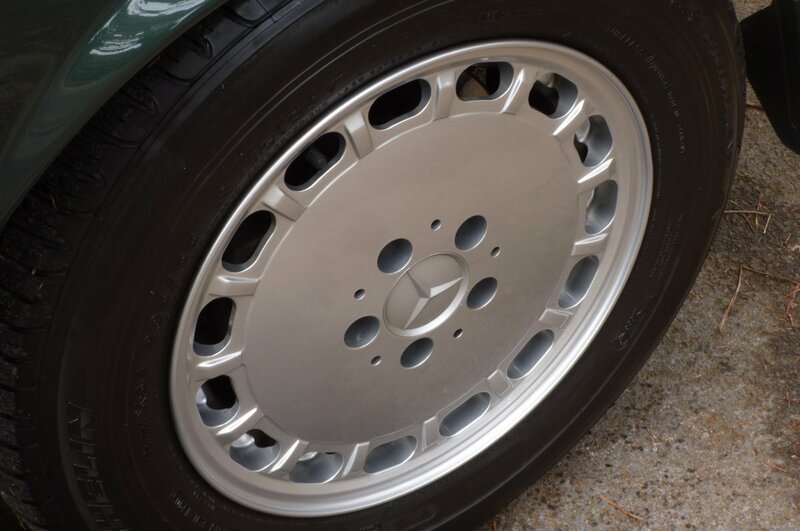 Further Treats Are Presented With The Unmarked Silver Finished 15" Fifteen Holed Mercedes Benz Alloy Wheels Which All Sit On Branded Tyres, The Twin Exhaust System, The Chromed Fitments To The Front And Rear Bumpers, The Factory Blackened Vented Front Grille With The Famous Three Pointed Star That Dominates The Nose, Chromed Door Mirror Cases, Further Factory Chromed Exterior Embellishments And Presented With The Chromed 420SL Rear Trunk Motif. 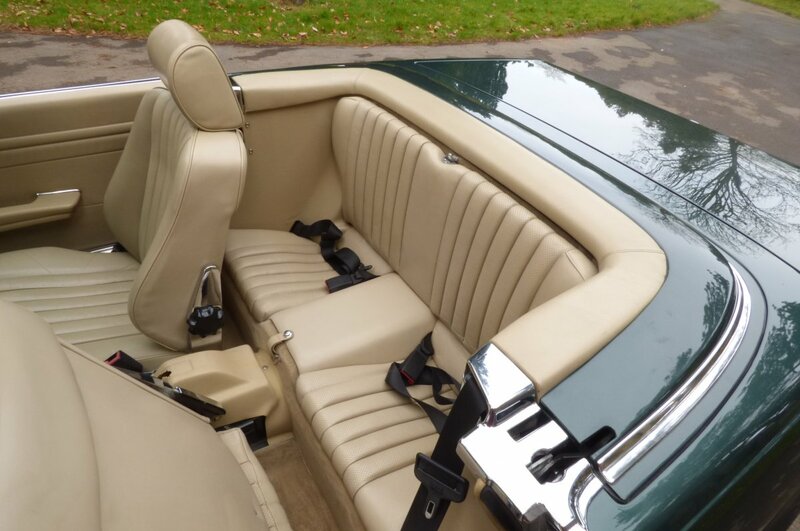 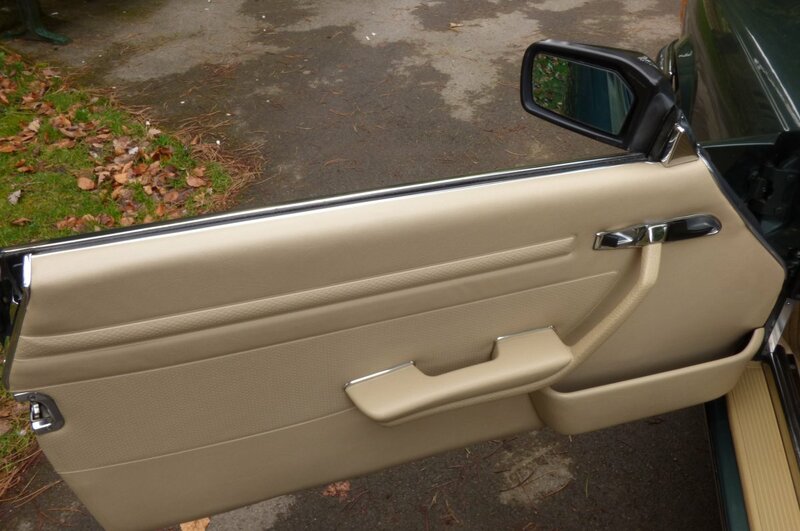 This Example Looks Sensational From Every Given Angle And Would Be Well Suited In A New Or Already Established Worldwide Vehicle Inventory, With Options And Costs To Ship Available Upon Request. 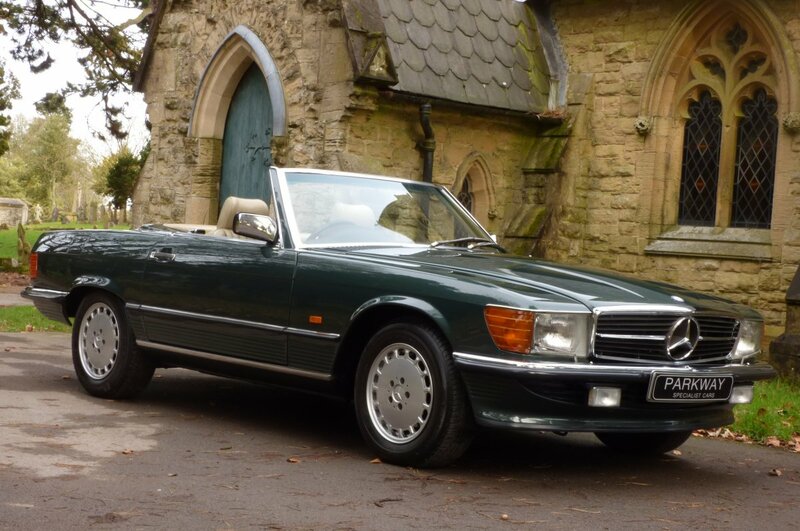 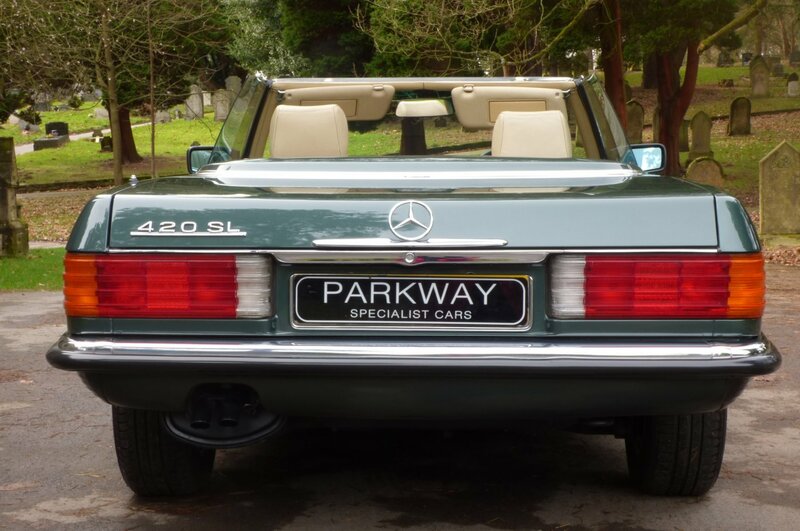 We Are Delighted To Offer For Sale This Lovely Mercedes Benz SL420 R107, With The Total Condition Being In Perfect Order And With An Impressive Extensive Past Service History Trace. 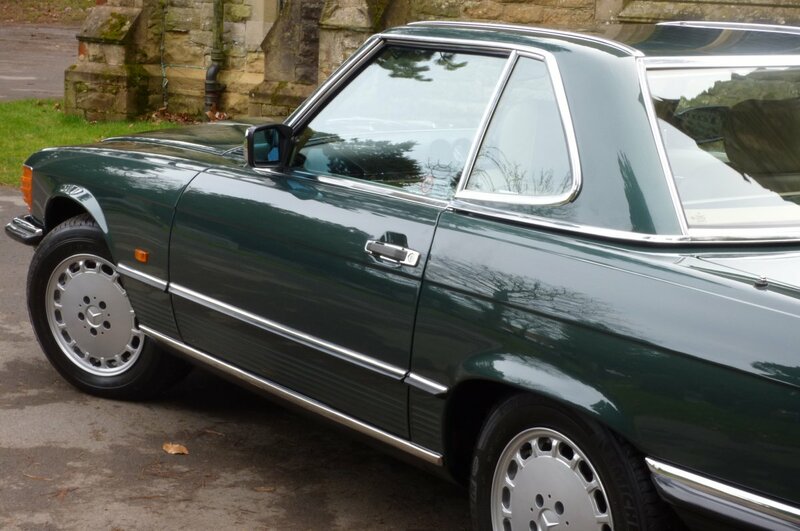 Options Include The Unmarked Silver Finished 15" Fifteen Holed Mercedes Benz Alloy Wheels, Front Head Lamp Washers And Wiper System, Factory Fitted Fire Extinguisher, Variable Heated Front Seating, Factory Hard Top Roof With Stand, The Dark Brown Canvas Roof, The Four Spoke SRS Embossed Black Leather Steering Wheel, Cruise Control, Electric Windows, Factory Fitted ABS, Apline Head Unit With CD, Power Steering, Chromed Mirror Caps, Chromed Internal Sill Kick Tread Plates, Car Cover, Alloy Spare Wheel, A Complete Tool Kit, Central Locking And So Much More. 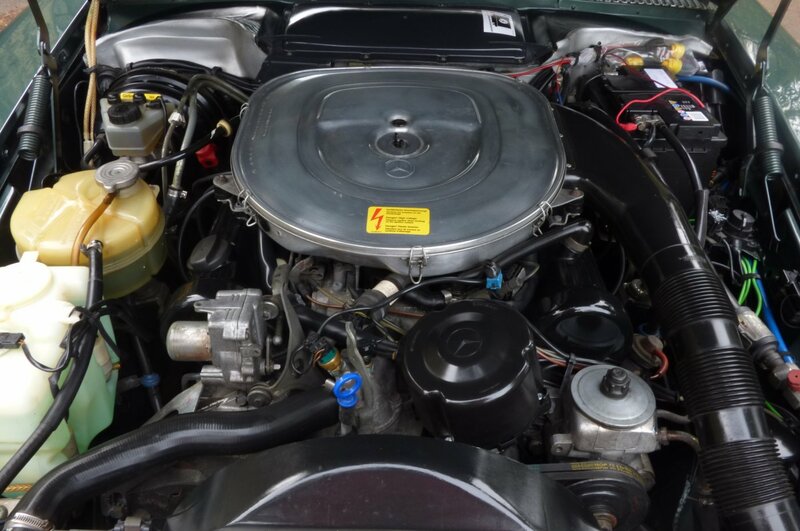 The Car Is Presented With The Entire Booklet, The Factory Build Card, The Entire Tool Kit Set, A Fully Cleared Hpi Report And A Fully Functional Key Set.